A cash advance on pending lawsuit is an option available to plaintiffs involved in litigation. A plaintiff pays their attorney on a contingency fee basis and if their case qualifies, they can receive a lawsuit loan on their pending lawsuit. A “cash advance on pending lawsuit” is another term for pre settlement funding. There are many misconceptions about lawsuit loan cash advances. This quick guide will help you understand the process. The definition of lawsuit loans, pre settlement funding, and legal funding. Broadly speaking, legal funding is an advance for plaintiffs against the potential and anticipated award or legal fee. The two most common phrases are pre settlement funding, lawsuit loans, and lawsuit lending, all describe a cash advance on a pending lawsuit. It’s important to understand that we refer to lawsuit funding as a “cash advance on pending lawsuit” because it is an advance and not a traditional loan. This is important because unlike a loan, there are no monthly payments, points, or up front fees. And it’s free to apply. There may be fee associated with the advance such as an origination fee or underwriting fee, but they are only repaid if you win your case and your lawsuit concludes successfully. What this means is that a cash advance on a pending lawsuit is “non-recourse” and the plaintiff is not responsible for paying back the lawsuit funding company if he loses his case or the proceeds are less than what is owed under the terms of the funding agreement. To be approved for a traditional loan, banks ask for hard collateral and perform credit checks, and require monthly payments. Not all plaintiffs have sufficient credit scores and the additional costs surrounding an accident can make anyone’s financial situation difficult. If you can borrow from personal savings, a friend or family member, a credit card, or a bank loan you should do so before resorting to plaintiff funding. Those outlets are ultimately cheaper than lawsuit funding in the long run. But if you are in desperate need for immediate expenses then receiving a cash advance on pending lawsuit can be helpful and necessary. A cash advance on a pending lawsuit is an option for those whose cases are expected to last a more than a few months or whose settlements are likely to be delayed. If you expect a quick and fair settlement, then you should try and wait If possible. A lawsuit loan is a last resort after you have exhausted your financial options. Since a pre settlement funding company is taking the risk that they lose their principal if your case does not settle, fees for a cash advance on pending lawsuit are typically more expensive than more traditional forms of financing and loans. A cash advance on a pending lawsuit is often the only option available since the average lawsuit takes about two years to resolve. Medical malpractice cases, workplace discrimination cases, and class action suits can take even longer. Pre settlement funding can help even the playing field while you wait for your litigation to progress. A plaintiff can make up for loss wages, off set the cost of surgeries and down time. It’s important to emphasize that lawsuit funding is a monetary advance, not a loan. The money that a plaintiff receives is based on the expected future lawsuit settlement, not from the creditors at a bank. Lawsuit advance agreements are between third party funders or lawsuit funding companies. The contract is signed by the plaintiff, his attorney and the legal funding company. 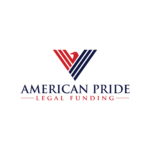 After a plaintiff has an attorney and the initial states of the lawsuit have begun, a plaintiff can reach our and apply with American Pride Legal Funding. After your application is received and relevant case documents are acquired from your law firm, we will underwrite your case and determine a fair market value. Based on that value, we will advance you a percentage of you potential expected lawsuit. We have at our disposal a team of professionals who are intricately familiar with the legal process and can determine a variety of financing options that can be customized to the plaintiff’s case, budget, and timeline. The fact is that, every case is different, and every plaintiff’s needs are different, so we work to adapt a solution that works for you. Our underwriting team evaluates the strength of the plaintiff’s claim, not their credit or financial history. Your case is the most important aspect of receiving a cash advance on your pending lawsuit. The fee that should be assessed (which is different from the interest rate a bank would charge) based on the overall risk assessment of your case. How Much of My Settlement Can You Advance? American Pride will typically advance no more than 20% of your expected net settlement. Pre settlement funding is more expensive than post settlement funding because when plaintiffs initially apply for funding, the outcome of their case is not determined. Pre settlement funding is riskier and thus more expensive. After a long settlement process or litigation, receiving funds from your settlement can take months. Settlements may be subject to appeals or require additional departmental review. Post settlement funding is typically less risky for a lawsuit funding company and our rates are lower for these types of advances. After waiting months, some plaintiffs decide that would like a post settlement advance against their lawsuit proceeds. Upon approval, American Pride Legal Funding can provide you a cash advance on your pending lawsuit to help pay your immediate bills and get you back on your feet. You pay back the loan only if you win your case. Give us a call and we’ll take down some basically information and our attorneys will request additional case documentation from your law firm. They will review your case materials and if you are eligible for funding, we will reach out to you with a funding contract. No problem! Remember, legal funding is not a loan, and it is not dependent on your credit score- so if you have bad credit, it will not disqualify you for a cash advance on pending lawsuit. You can give us a call and we’ll start the process. There are no credit checks. There are no upfront fees.